Court cases involving child custody, adoption and divorces heard in the Cayman Islands Grand Court, Family Division are – in certain instances – now being made public once a judgment is rendered. To protect the identities of the parties involved, the court’s judgment contains only initials in relation to the individuals being discussed, not their full names. Also, Courts Administrator Kevin McCormac said it remains in the discretion of the presiding judge whether the ruling on a particular case is put into the public domain. So far, the courts have released five such cases believed to have some broader public interest from the Grand Court’s Family Court Division. The latest release involves a Jan. 15, 2014 judgment on a Cayman Islands residency case where the right of two children to remain in the islands was being reviewed, following the death of their father – a permanent resident of independent means. The residency status of the children was granted as dependents of their permanent resident father, who died late last year. “There is a live issue as to whether their right to residency had ceased upon [their father’s] passing and uncertainty as to their right to continue residing in the Cayman Islands,” the judgment written by Grand Court Justice Richard Williams indicated. In addition to deciding whether the children could continue to reside in the Cayman Islands, there was an ongoing issue as to legal guardianship and who might be responsible for their care if they could not remain here. In the end, the judge ruled that the children should be made temporary wards of the court and placed in the interim care of relatives who reside in Florida. However, that decision was based largely on what the court considered best for the children at the time, rather than a decision based on their immigration status in the Cayman Islands. Another case from July 2013 contained an important declaration from Cayman Islands Chief Justice Anthony Smellie with regard to child custody in divorce matters, the specific case involving the custody of a five-year-old girl. “There is no presumption that the child must reside with one parent or the other,” the chief justice wrote in his decision on the case. “Her tender age and gender may be important considerations strongly supporting a more suitable arrangement for residence with her mother, but they are not conclusive. Such matters, Mr. McCormac said, will end up setting guidelines for similar matters that judges use in their decisions on future cases and may be of interest to the general public. However, he said protecting the identity of participants in Cayman Islands cases will be more difficult than in larger jurisdictions. “In a small country, like ours, that’s more of a challenge,” Mr. McCormac admits. 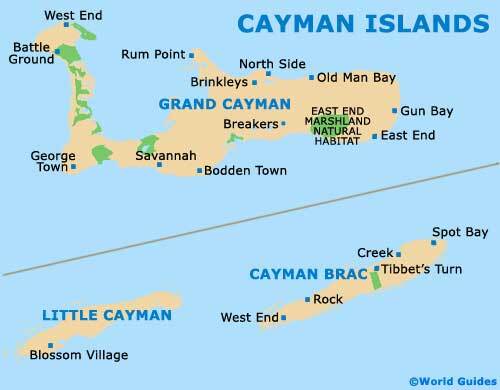 It is, at least partly, for that reason that the Cayman Islands court system did not follow what had already been done with the family courts of England and Wales. Mr. McCormac said the courts there typically release almost all family court judgments to the public. In the local scenario, only Grand Court case judgments would be released, not those that come before the Summary Court. In addition, the judges themselves will maintain sole discretion over which rulings are made public, Mr. McCormac said.